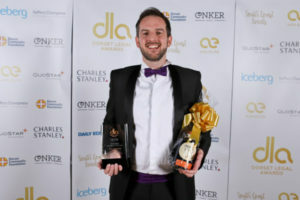 On Friday 23rd March, the inaugural Dorset Legal Awards were held at The Bournemouth International Centre. The awards were created by Ash Elite and Quostar. You can see the full gallery of images from the LAUNCH event at The Italian Villa with photography by Bridle Photography and images from the AWARDS evening with photography from Studio Shotz. 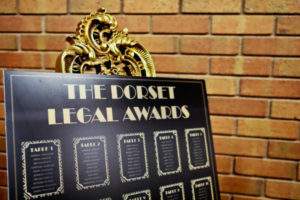 See our BLOG on the launch event for Dorset Legal Awards. 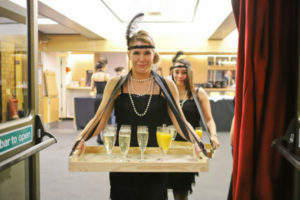 Guests arrived on the evening to a drinks reception with just a touch of the theme for the evening. 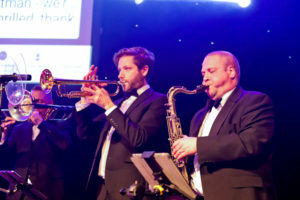 They mingled with fellow finalists, sponsors and guests whist being entertained with music from Blue Lion Band. 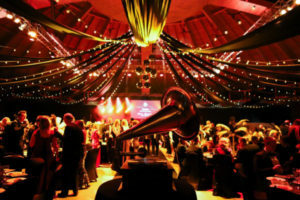 Guests then went though to the main room – The Purbeck Hall – which lends itself so well to award ceremonies. With its circular ceiling, it creates a wow factor before you’ve even added all the extra styling. 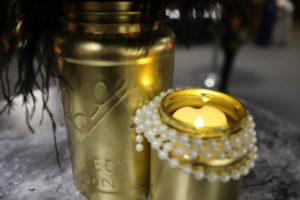 In case you haven’t worked it out yet, the theme is black & gold Gatsby. Everything tied in beautifully from the table plan to the centre pieces, the ceiling drapes and gramophone. 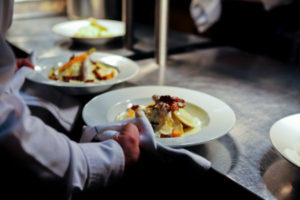 The BIC catering team certainly didn’t disappoint with delicious dishes created especially for Dorset Legal Awards guests. The actual awards handed out were created by RT Promotions. Winners were also given a bottle of Conker Spirit Cold Brew Coffee Liqueur. The awards were presented in between courses. Once this had finished, the after-party started with Blue Lion Band filling the dance floor with ease. Incredible sound from them! The event sponsors were Iceberg, Saffery Champness, Charles Stanley and Bournemouth Daily Echo. 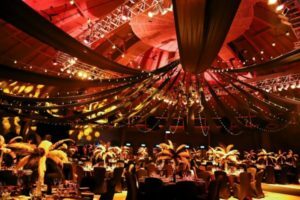 South Coast Events were proud to be involved by providing our event services for Dorset Legal Awards launch event and awards ceremony. 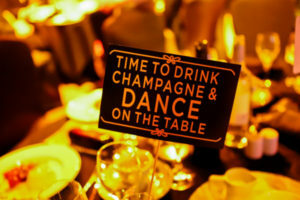 If you have a corporate event that you’d like us to organise or help with, please do not hesitate to get in touch!